Do tell: since when did Sriracha become a popular flavor? 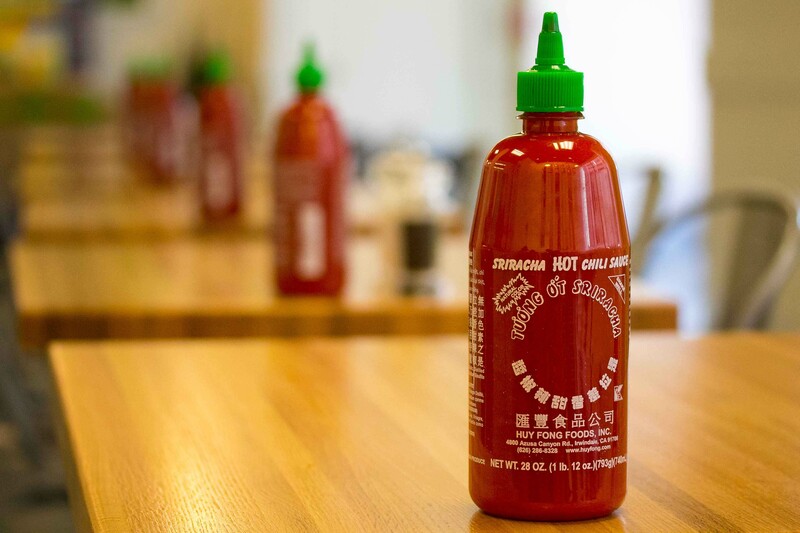 In my school days, Sriracha was an uncommon currency. You could only get it from Asian grocers or from one of the many Indonesian students. We had it for dorm room ramen (which was against the rules at our college, I kid you not), chicken tenders, and Hungry Howie’s pizza. It felt like we’d shared a best-kept, lesser-known secret. Hipsters didn’t exist back then, so don’t even start. Now? Far from the oblique status it once enjoyed, Sriracha is everywhere. In your chips. Your ranch dressings. Your OREOs. Flavor: Probably just “meat and potatoes” with helpings of “dust” and “plague” mixed in. This is about as exotic as we got back then, with “spicy” not quite part of the American palate. You can’t fault good ol’ pre-internet 1980s America for going heavy on the cheese. Nacho makes a late entry here, as we discovered Mexico sometime during this decade. Onward! Ranch is pedestrian, but it balanced the full embrace of the nacho and the jalapeño. BBQ’s amazing varieties (we’ll get to those) might have overwhelmed the average late 90’s American, so we laid the general foundation instead. So what if the discovery of arugula, kale, and edamame coincided with this age? We got an impressive one-two punch of the smoky-but-profound chipotle followed by the REIGN OF BACON. Although America obsessed over whoever dumped a salt-shaker into the caramel, it was all forgiven with the rise of habaneros for bolder, more daring palates. Long overdue. And since the flavors of Mexico appear to be exhausted, we’ve turned our collective palate to that other great country: Asia. And thus, our Sriracha epidemic. About time y’all caught on. Honorable Mention: Sea Salt & Cracked Black Pepper — trying real hard here. Curry should have made the cut last decade, were it not for India and the UK slacking off. Sad that its upcoming popularity will lead to its mediocrity (until we tap into Vindaloo by 2027). As the REIGN OF BACON ends, it will re-emerge under the guise of pork belly. Scorpion Pepper is a lock, and I look forward to when the discovery of the “DeathBloom X Pepper” coincides with the immediate release of its Doritos flavor. And since we felt bad for forgetting about Mexico, we’ll swing the peñdulum back into ruining commercializing one of their best flavors: mole. Its authenticity had a good run. Did I miss anything? Let me know; I’m hungry now.